Peaches & Petals Subscription Box 1st Month Only $14.99 Plus FREE Shipping! You are here: Home / Great Deals / Peaches & Petals Subscription Box 1st Month Only $14.99 Plus FREE Shipping! 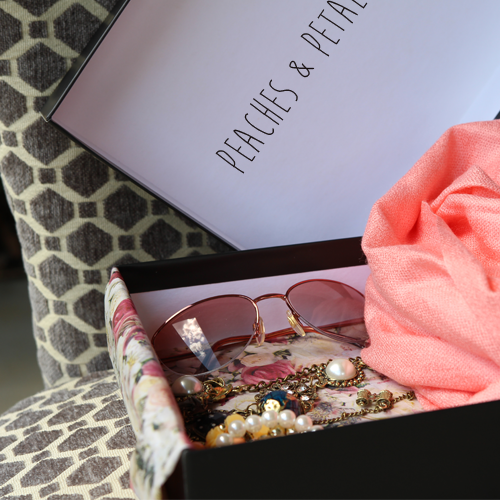 At Peaches, we are so excited to launch our first Monthly Box! To spread the word, loud and clear, we are having a “Try It out!” period where you can start your subscription with 50% OFF the first month! You can cancel at anytime! See what’s new at Peaches & Petals! Experience our world of fun, flirty and fashionable vintage-modern lifestyle in a hand-curated box delivered to you each month. Get the Peaches & Petals Subscription Box 1st Month Only $14.99 Plus FREE Shipping!